The Best Books Ever: Cut Here by Azzurra Nox ~ Excerpt Tour Post and Giveaway Link ~ by Jaime! Cut Here by Azzurra Nox ~ Excerpt Tour Post and Giveaway Link ~ by Jaime! Sixteen-year-old Lena Martin's idyllic world shatters the night her mother dies due to a hit and run accident. Two years later, her dad relocates her from Italy to Los Angeles to help her put behind the time spent in a psychiatric ward following her mother's death. But the move only proves to be a fatal mistake. Shortly after her arrival, the classmates of her new private school begin to commit suicide under mysterious circumstances after reading a cult book called Cut Here. Jon wasn't sure what had awakened him, if it had been his usual nightmares or a noise in particular. His ears were tuned attentively, trying to make out any little sound. There was something strange about the air in the room. A vague familiar scent lingered, but he couldn't quite pinpoint it, his brain was still adjusting to being jolted out of sleep. There was no hint of light in the room. It was dark. Pitch black. Not even the radio alarm on the bedside table glowered its usual green hued numbers. “I know where you can find him,” a female voice cooed but he couldn’t make out who it was in the shadows. His breathing shallow, and a cold sweat broke loose upon his forehead. “I know you think of him every single day,” the voice continued. The soft flutter of wings created a cool breeze in the room, and he heard some of his papers on his desk fly off the flat surface. He rubbed his eyes. I must be dreaming, he thought. This voice can't be real. “Damn nightmares,” Jon said in a cracked voice, his hand instinctively reaching out for the glass of water on his bedside table to help him wake up. His lips touched the glass, wetting them with the lukewarm liquid. He took a small sip as his heart continued to pound in his chest like someone was shaking up a soda can and it was ready to explode. “I know how you feel, Jonathan,” the female voice whispered softly. He instantly recoiled, his back against the headboard. Heart pounding. Nerves tingling. “Why are you here? You want money? What? What is it? What do you want?” his voice shook a little. Her touch startled him and he let out a yelp. “Then let me see you,” his fingers fumbling with the light switch again. It slipped in his clammy hand, and he cursed under his breath trying to grab hold of the cord in the dark. “Shut up!” his fingers scraped along the cord till it came in contact with the switch and he clicked on it. The room lit up in a brief moment and then sudden darkness reigned again as the sound of broken glass shattered his nerves. “I told you, you're not ready to see me. Don’t even think about running, no one will believe you,” her red eyes glowered. This is fear, he thought, the inability to save yourself because you're too terrified. “You did. But your lady-friend couldn’t see me. Not everyone can see me,” he felt her move closer to him. Her breath was against his cheek now. Before he had a chance to react, her hand wrapped around his neck and he willed himself to move but he felt transfixed, unable to lift a single limb. Born in Catania, Sicily, she has led a nomadic life since birth. She has lived in various European cities and Cuba, and currently resides in the Los Angeles area. Always an avid reader and writer from a young age, she loved entertaining her friends with ghost stories. She loves horror movies, cats, and a good rock show. She dislikes Mondays and chick-flicks. 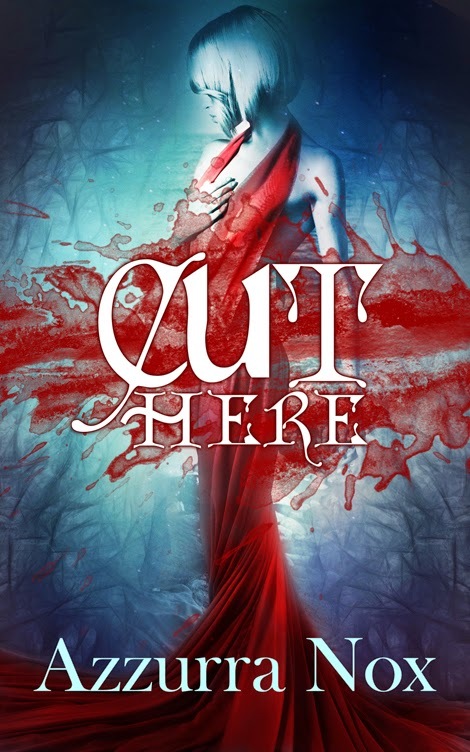 CUT HERE, her debut paranormal urban fantasy was inspired by a nightmare the writer had a few years ago. Some of her favourite authors include Anne Rice, Oscar Wilde, Chuck Palahniuk, and Isabella Santacroce.